Pure nickel reacts with oxygen and, therefore, is seldom found on the earth's surface, despite being the fifth most abundant element on (and in) our planet. In combination with iron, nickel is extremely stable, which explains both its occurrence in iron-containing ores and its effective use in combination with iron to make stainless steel. Nickel is very strong and resistant to corrosion, making it excellent for strengthening metal alloys. It is also very ductile and malleable, properties that allow its many alloys to be shaped into wire, rods, tubes, and sheets. Pure nickel was first extracted by Baron Axel Fredrik Cronstedt in 1751, but it was known to exist much earlier. Chinese documents from around 1500BC make reference to 'white copper' (baitong), which was very likely an alloy of nickel and silver. Fifteenth century German miners, who believed they could extract copper from nickel ores in Saxony, referred to the metal as kupfernickel, 'the devil's copper,' partly due to their futile attempts to extract copper from the ore, but also likely in part due to the health effects caused by the high arsenic content in the ore. In 1889, James Riley made a presentation to the Iron and Steel Institute of Great Britain on how the introduction of nickel could strengthen traditional steels. Riley's presentation resulted in a growing awareness of nickel's beneficial alloying properties and coincided with the discovery of large nickel deposits in New Caledonia and Canada. By the early 20th century, the discovery of ore deposits in Russia and South Africa made large-scale production of nickel possible. Not long after, World War I and World War II resulted in a significant increase in steel and, consequently, nickel demand. Nickel is primarily extracted from the nickel sulfides pentlandite, pyrrhotite, and millerite, which contain about 1% nickel content, and the iron-containing lateritic ores limonite and garnierite, which contain about 4% nickel content. Nickel ores are mined in 23 countries, while nickel is smelted in 25 different countries. The separation process for nickel is highly dependent upon the type of ore. Nickel sulfides, such as those found in the Canadian Shield and Siberia, are generally found deep underground, making them labor intensive and expensive to extract. However, the separation process for these ores is much cheaper than for the lateritic variety, such as those found in New Caledonia. Moreover, nickel sulfides often have the benefit of containing impurities of other valuable elements that can be economically separated. Sulfide ores can be separated using froth flotation and hydrometallurgical or magnetic processes to create nickel matte and nickel oxide. These intermediate products, which usually contain 40-70% nickel, are then further processed, often using the Sherritt-Gordon Process. The Mond (or Carbonyl) Process is the most common and efficient method to treat nickel sulfide. In this process, the sulfide is treated with hydrogen and fed into a volatilization kiln. Here it meets carbon monoxide at about 140F° (60C°) to form nickel carbonyl gas. 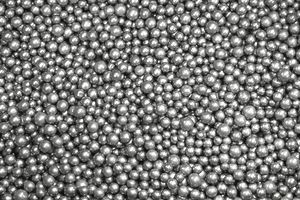 The nickel carbonyl gas decomposes on the surface of pre-heated nickel pellets that flow through a heat chamber until they reach the desired size. At higher temperatures, this process can be used to form nickel powder. Lateritic ores, by contrast, are usually smelted by pyro-metallic methods because of their high iron content. Lateritic ores also have a high moisture content (35-40%) that requires drying in a rotary kiln furnace. It produces nickel oxide, which is then reduced using electric furnaces at temperatures between 2480-2930 F° (1360-1610 C°) and volatilized to produce Class I nickel metal and nickel sulfate. Due to the naturally occurring iron content in lateritic ores, the end product of most smelters working with such ores is ferronickel, which can be used by steel producers after silicon, carbon, and phosphorus impurities are removed. Nickel is one of the most widely used metals on the planet. According to the Nickel Institute, the metal is used in over 300,000 different products. Most often it is found in steels and metal alloys, but it is also used in the production of batteries and permanent magnets. About 65% of all nickel produced goes into stainless steel. Austenitic steels are non-magnetic stainless steels that contain high levels of chromium and nickel, and low levels of carbon. This group of steels — classified as 300 series stainless — are valued for their formability and resistance to corrosion. Austenitics are the most widely used grade of stainless steel. The nickel-containing austenitic range of stainless steels is defined by their face-centered cubic (FCC) crystal structure, which has one atom at each corner of the cube and one in the middle of each face. This grain structure forms when a sufficient quantity of nickel is added to the alloy (eight to ten percent in a standard 304 stainless steel alloy). USGS. Mineral Commodity Summaries: Nickel (2011).